Have you ever been clothes shopping and wondered what kind of impact your dollars were making on the world? Seeing as I normally purchase my wardrobe from opshops or make stuff myself, I don’t deal with this dilemma very often, but I realise that other people do buy new things and might like some help making decisions on where their money goes. So I was very pleased to hear about The Good On You Ethical Shopping Assistant. 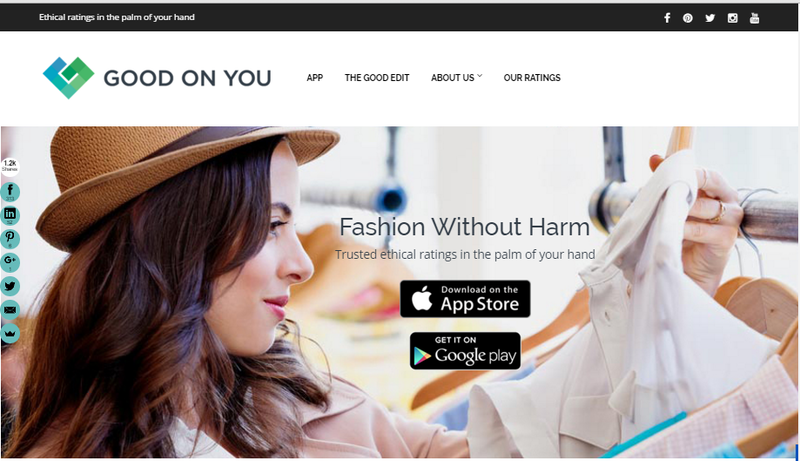 This is a brilliant idea from Sydney-based social enterprise Good On You, which has designed an app that lists more than 3000 different brands and their ethical/eco credentials. So if you’re out shopping and find a look you love, all you need to do is check the app to see how it ranks. Of course, it’s up to you whether you buy it or not, but if you purchase something from a brand that doesn’t have such a great track record, the app also lets you send questions or feedback to the brand to help them improve. See what I mean by being a brilliant idea? !